We've all been there and it always seems to happen at the most crucial moment: just before pressing the send button on that vital work email, midway through ordering a last minute christmas gift on Amazon or when you're about to break up with your boy/girlfriend by SMS. The last one isn't the nicest thing to do but that's another issue. Other articles make truly outrageous promises such as "10 Ways to TRIPLE Your Phone Battery". That's never going to happen and it's not what this article is about. I'm not a battery magician (the tablet I'm writing this on right now is at 39% charge). I know that you can't hope to triple battery life just by turning off WiFi, disabling GPS and all the other wonders of mondern telecommunications, so I'm not going to lie to you and say that you can. Sure fiddling about in the settings menu of your phone might get you an extra half-hour or two, but is it really worth sacrificing all those snazzy features that you've spent potentially hundreds of dollars on just for that? Instead of focusing on how to save battery, this article will show you how to actually charge up your devices away from the wall socket. Of course, there's a slight problem with this method for some people. People who have phones with non-removable backs. Fear not iPhone users, read on for alternative ways to keep your devices charged away from the wall socket. There are a whole host of battery packs out there for charging up devices on the go. They range from about the same size as your phone to almost as big as a weighty hardback. They tend to be very simple to operate: charge it up at the wall before a big trip and just plug in your phone with its regular USB charging cable and watch the percentage figures rocket. Depending on how large a capacity you go for you'll get between 1 and 10 full recharges of a phone and slightly fewer of a tablet. If you decide to purchase a battery pack for your phone you should watch out for anything that seems too good to be true. When it comes to batteries “too good to be true” is often exactly that. Some companies take the less than savoury approach of exaggerating their capacity specifications. Always read the reviews, buy from a trusted retailer and you should be fine. Alternatively, you can charge up your phone directly from the battery of your tablet. I often charge my phone using my Nexus 7 and can get about two and a half charges, provided I'm not using the tablet at the same time. If you like the sound of this and fancy a (not too challenging) tech DIY project, first you need to check if your tablet supports USB OTG (USB on the go) charging. If you're not sure then do a search of the forums over at XDA Developers. They're great for that sort of thing. 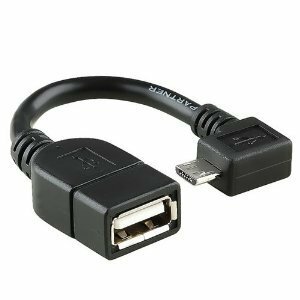 If you’re compatible, great, go get yourself a USB OTG cable. You can get them for next to nothing on Amazon, but make sure to check that the one you go for is compatible with your tablet. Now you can plug the USB end of your normal charging cable into the OTG cable, put the end of the OTG cable into the tablet and stick the other end of your charging cable into your phone. Et voila! A perfectly functional DIY battery pack for a fraction of the price of a commercial one. If a battery pack or DIY tablet arrangement is too bulky or clumsy for you but you still want that extra portable charging facility for your phone the only option left is a battery case. If you're an iPhone user you won't have a problem getting your hands on one. Some users of less popular Androids might be without luck however. Battery cases are just your average phone case but containing a battery to extend the life of your main phone battery. If you’re a real technology enthusiast (if you don’t know what “root” means other than the subterranean bits of a plant then you’re probably not) you might call yourself a power user. 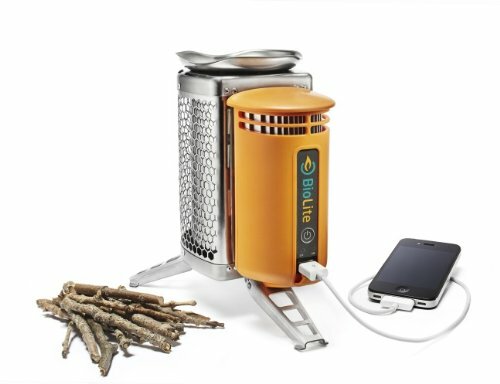 Perhaps a little extravagant, but pick up one of these bad boys and you’ll officially be a fire-powered user. And lets face it: your inner childishly gleeful pyromaniac just can’t help themselves. Don’t get caught out with empty device batteries miles from the nearest power socket on your next road or camping trip. Have a browse, buy yourself some kit and you’ll be texting away happily long past everyone else has run dry. Happy charging!